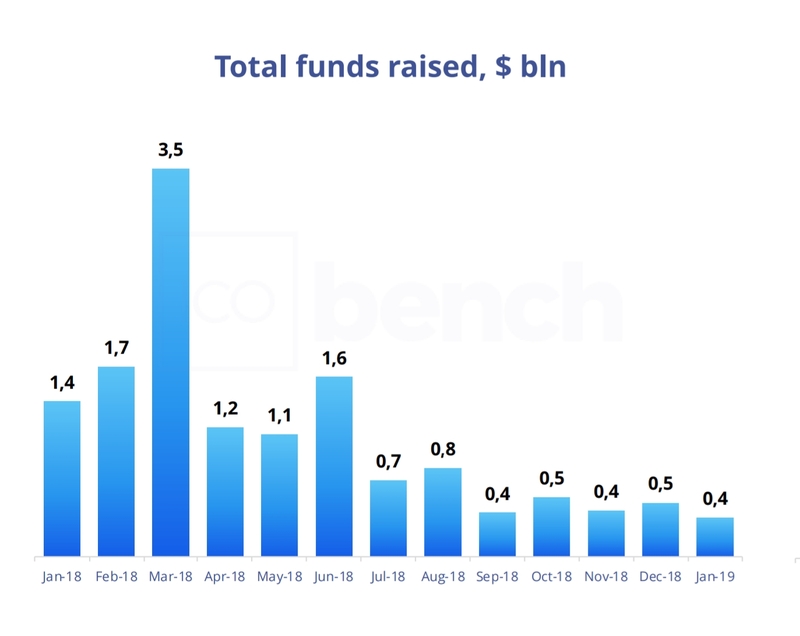 The chart below, compiled by ICObench shows the amount (in USD) that was raised by ICOs over the period of early 2018 and right through to early 2019. The story is well documented: mid-2017 until mid-2018, ought to be classified as the golden days for ICO issuance. Since then, the trend proved to be very short lived and the pipeline of new issuance has dried up significantly. The crypto winter has been brutal and merciless to new and established crypto projects, and because of the high correlation, the net result has been severe capital losses across the board. Much has been said about the upcoming custody solutions which in theory should pave way for institutional crypto investors. As a result, the view is that the extended crypto winter that market participants were forced to endure may be coming to an end. Custody and regulatory matters are at the forefront of every crypto and blockchain related talk. However, something that has not been said for a long time is crypto/ICO related lock-ups. Specifically, in March 2018, over $4.5 billion. Lock-ups range anything from 6-months to 24-months and the vast majority impose the restriction that the holder of the said crypto token is prohibited from liquidating their stake until one year since the completion of the ICO. As such, while the majority of the retail crypto community is focusing on the positive developments surrounding various custody solutions, there is a significant risk of another broad-based selling stemming from team members and advisors of the participated ICO being granted the right to sell the coins.